We’ve been travelling a lot lately, and the dry, stuffy airplane air definitely does a number on your skin. Not great if you have to go straight to a meeting from the airport! Airplane air is 50% fresh and 50% recirculated air, and has a humidity of around 12% to 15%. This humidity level is drier than many deserts and will sap essential moisture from your skin, leaving it looking dry and rough. Here are our tips on how to keep your skin looking dewy at 30,000 feet above the ground. Cleanse your face right before you have to start boarding the plane. The idea is to prepare your skin to best receive the skincare treatments afterwards. We especially like using powder cleansers – leak-proof, easy to slip in your carry-on and with the versatility to be used as an exfoliator if needed. A cleansing wipe is another alternative if you are already on the plane, but we prefer the cleansing power of a foaming cleanser before a long flight. Afterwards, apply an emollient eye cream, then a hydrating serum with nourishing ingredients and humectants such as hyaluronic acid or sodium hyaluronate. Instead of a cream, we like to use a sleeping mask. Sleeping masks are highly popular in Asia, as they can be used either at the last step of your skincare instead of a cream for an extra boost – or a standalone wash off mask. We find Goodal’s one-time use Aloe Vera capsule masks to be perfect for travel – and the formula is clear. You can layer these on a little more thickly than usual since you’ll need the extra hydration in an in-flight environment. We also like to keep a refreshing mist handy to keep rehydrating the face throughout the flight as needed and a nourishing lip balm. Note – alcoholic drinks and caffeine can cause dehydration, so try to stick to water and herbal teas! 1. 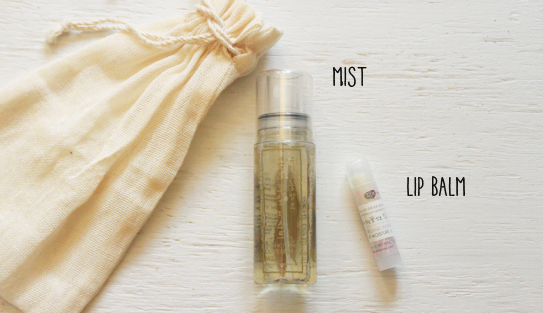 Spritz face generously with the mist, then wipe off gently with a tissue or cotton pad to rehydrate and prep skin. 2. Apply a hydro-gel sheet mask for 10~15 minutes to intensively infuse hydrating and nourishing ingredients into skin, which will help leave skin looking dewier. 3. After removing the mask, reapply eye cream, serum and moisturizer so that skin is hydrated and luminous. 1. 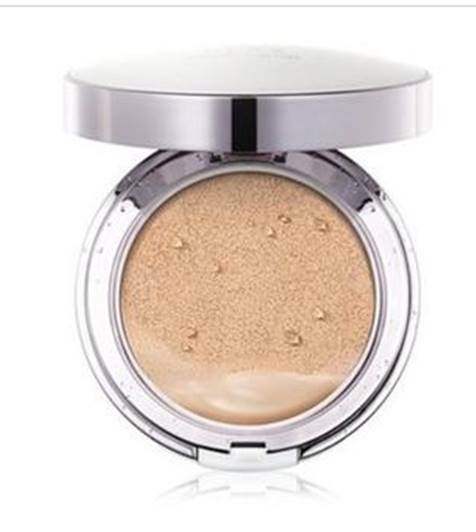 Apply a CC Cushion afterwards, which gives luminous coverage with SPF protection. 2. Additional tools to look especially rested are a natural-looking cream blush, bright lipstick and plenty of concealer used under the eyes, sides of the nose and middle of chin to brighten the face. 3. Don’t forget your sunglasses if you’re landing at a sunny vacation destination! Looking a little puffy? Use an old-time technique to help circulation – repeatedly press and release the fleshy part between your thumb and index finger for 3 minutes. This will help de-puff and brighten the face. UV rays are undeniably stronger at this altitude. If you are on a day time flight and don’t have the option to keep the window shutter down, go ahead and apply a SPF product to keep your skin protected! With the holidays just around the corner, we wish you safe travels, good times with friends and family, and holiday-proof skin. Let us know if you have any comments, questions or feedback at love@glowrecipe.com. wow! this is super cool! 🙂 Just wondering, is this necessary for a flight that’s less than 2 hours? Hi, we would recommend that you just use a mist (generously) to rehydrate during a flight less than 3 hours :). Hope this helps! Actually, if I may, I’d like to suggest a post topic. I’ve always wondered about the difference between eye serums, eye creams, etc. At what age should I start using these type of products? Hi annaindeed, sorry for the late response! We’ll be doing an eye care post very soon so please stay tuned! We’d recommend to start using them as soon as your early twenties. Prevention is much easier than correction! Let us know if you have any further questions at love [a] glowrecipe [dot] com, any time. This is so cool! thanks for the tip. Just wondering, is this for longer flights? Is it necessary if my typical flights are max 2 hours?